The Tennessee Bureau of Investigation is now looking into a deadly officer-involved shooting in Rutherford County late Wednesday. 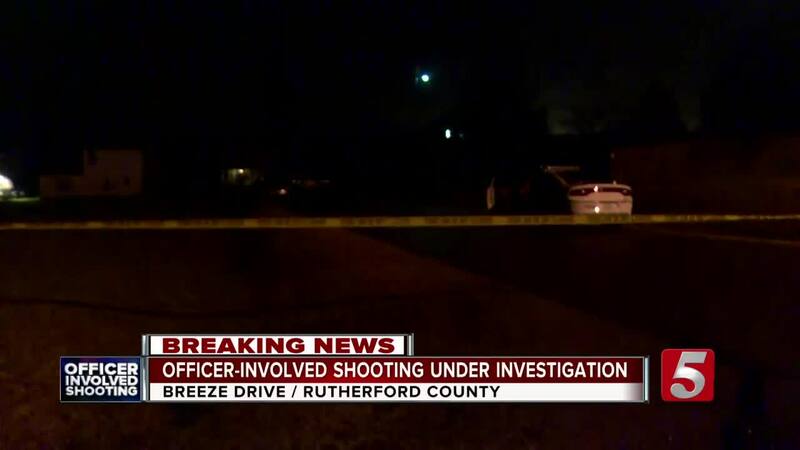 NASHVILLE, Tenn. (WTVF) — An investigation got underway Wednesday night after Rutherford County deputies fatally shot a man who allegedly showed a weapon during a standoff. Deputies were called to a home on Breeze Drive, located in the Fall Creek subdivision, at about 9:30 p.m. The Tennessee Bureau of Investigation said 43-year-old Allon Jones was in the home and had three potential hostages. Negotiators were called out and two people were released from the home, but the third was unable to leave because of medical reasons. TBI officials said the situation escalated when Jones walked out of the home with a gun and pointed it in the direction of officers. That's when deputies fired shots, fatally wounding Jones. He was taken to an area hospital and pronounced dead. No deputies were hurt. The TBI did not identify the officers involved in the incident.